It is with great sadness the family of Darrell James Morrison announce his tragic and unexpected passing on November 21, 2018. Darrell was born on July 8, 1972 in Saskatoon, Saskatchewan. He is survived by his parents Dean and Gloria Morrison, daughter Cheyanne Morrison, son Tristan Morrison, brothers Robbie (Melanie) Morrison and Dene Morrison (Laura Griffith) , nephew Austin, nieces Jayde, Skylar, Danika, Danae and Deneile and partner Jessica Rouse. Darrell was not only a loving father but an amazing son, uncle, brother and partner. He was a dedicated volunteer firefighter with the Rosetown Fire Department and he leaves behind many brothers and sisters on the department as well. Darrell loved to hunt, fish, quad and spend time with family and friends. He also went out of his way every day to help others and that was apparent in every fire call he went on. Everyone will always remember Darrell’s contagious laugh that you could hear miles away, his kindness, selflessness and humor. Darrell was never seen without a big smile on his face, including when he drove past you as he drove to the hall to suit up for a call. He took immense pride in what he did and passed his love and compassion for helping others on to everyone he came in contact with. No matter where we are - on call, off call and whoever we are with, we will forever have a guardian angel looking over us. You are a hero and thank you for blessing our lives with your presence. May you rest in peace Darrell. A Celebration of Darrell's life was held on Tuesday, November 27, 2018 at 2:00 p.m. at the Rosetown & District Civic Centre with Pastor Dan Esau officiating. 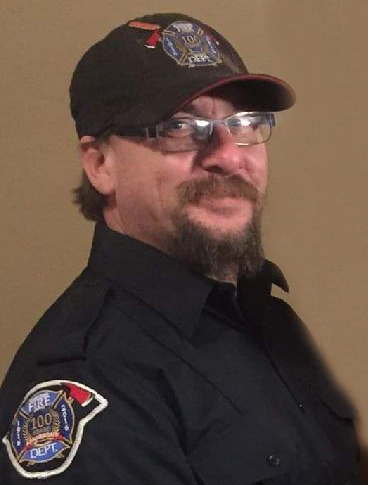 Donations in memory of Darrell may be made to https://www.gofundme.com/in-darrel-morrison-memorial or to the Rosetown Fire Department, P.O. Box 1436, Rosetown, SK, S0L 2V0.